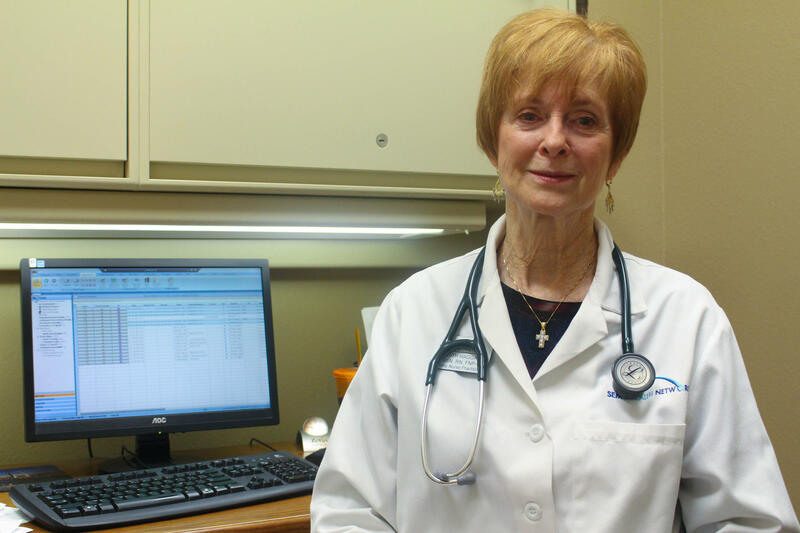 Judith Haggard is one of two nurse practitioners at the Otto Bean Medical Center in Kennett, Mo. The clinic has no full-time doctor so Haggard works with a collaborating physician outside of the SEMO Health Network, which runs Otto Bean. Fifteen minutes is the standard length of a visit here. In that time she must examine and educate him, prescribe medicine and discharge him. Fifteen minutes, she says, is hardly enough time. In a perfect world the patient would see an endocrinologist – a doctor who specializes in diabetes. Time spent with a nurse practitioner, diabetes educator or even a nutritionist would make up for the time the doctor couldn’t give. But this is the Bootheel, a region emblematic of the social and medical problems facing rural Missouri, and really, all of rural America. Life expectancy here is among the lowest in the state. A fifth of the population lives in poverty. About a quarter are smokers. And adding to those red flags is a critical shortage of doctors, especially for the region's poor, like the patients Haggard sees. Every Bootheel county is a designated Health Professional Shortage Area (HPSA) – a measure of a population’s access to healthcare based on their ratio to providers. There are three categories for which this distinction exists – primary medical care, mental health and dental – and the Bootheel is short on all of them. 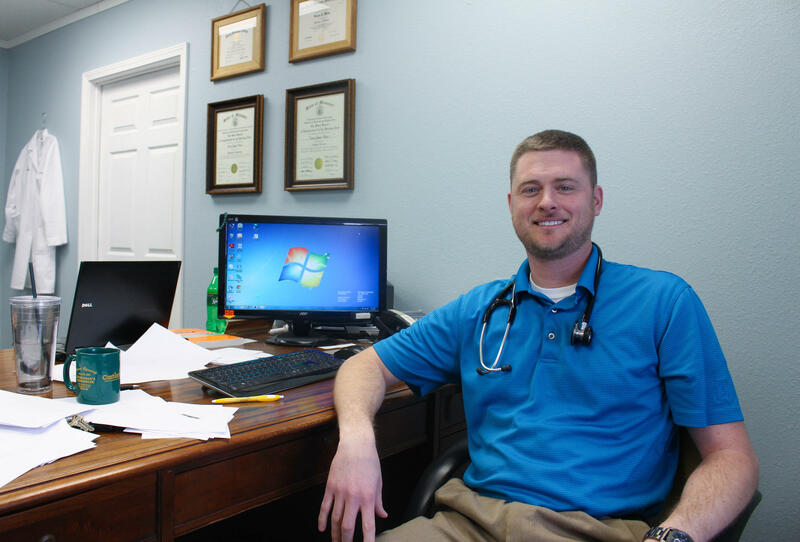 Travis Weiss is a physician assistant at the SEMO Health Network in New Madrid, Mo. Through the Network, Weiss had access to the National Health Service Corps loan repayment program. For perspective, the Health Resources and Services Administration, for an area to be designated a HPSA its population to provider ratio must be at least 3,500 to 1 for primary care (3,000 to 1 in areas of high need). For dental the ratio must be 5,000 to 1 (4,000 to 1). 30,000 to 1 (20,000 to 1) for mental health. Standing against the wall of a busy classroom in Sikeston, Mo., Sandy Ortiz reflects on the need those numbers represent. Ortiz is Executive Director of the Southeast Missouri Area Health Education Center – one of seven regional centers in the state. SEMO AHEC’s aim is to grow the area’s healthcare workforce and fill the provider gap. 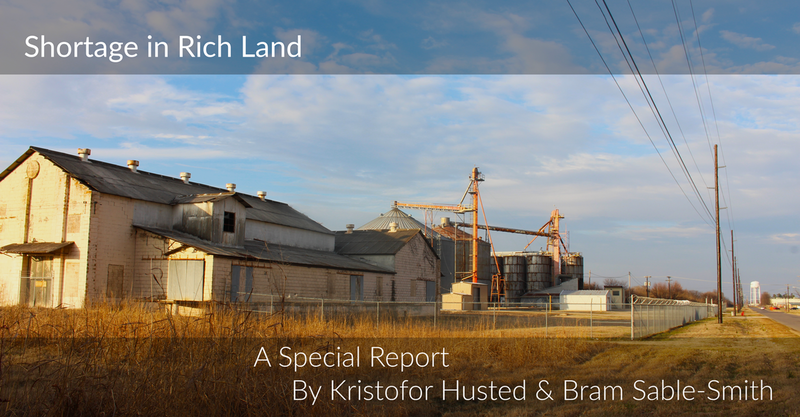 To do this, they give medical students in Missouri a taste of rural medicine by placing them in clinical rotations in the area; hoping the students like it enough to return here after their residencies. sustain a medical practice. Even a loan repayment program through the National Health Service Corps– where doctors working at certain clinics in the area can have their student debt repaid by the federal government – often isn’t a big enough draw. Usually it’s the people from the area who are most likely to return. And that’s why Ortiz and SEMO AHEC also work with students before they finish high school, which is what brings her to a classroom at the Sikeston Career and Technology Center. One of those kids is 17-year-old Erin Schlitt, a student in the health occupations course. Before joining this class, Erin didn’t always see herself in a health profession. This was a chance to try it on for size. SEMO AHEC doesn’t run this class but they do visit once a month with a hands-on activity, sometimes taking the students out into the field. And they look for other ways to engage students like Erin with the kind of science learning that schools in small, rural districts generally cannot afford. 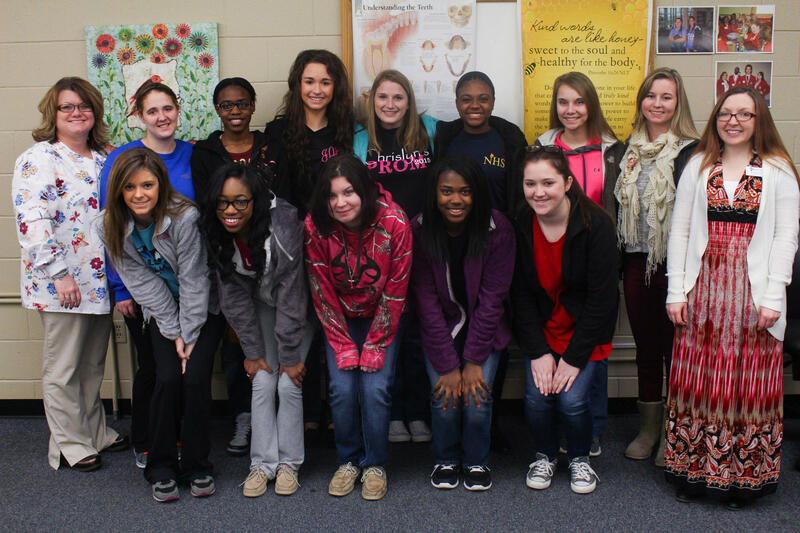 The health occupations class at the Sikeston Career and Technology Center in Sikeston, Mo. Racheal Baker (far right) of SEMO AHEC brings a hands-on activity to this class once a month to engage the students about careers in healthcare. Today’s lesson is not quite as exciting. The students are learning about careers in oral health by playing “Inter-professional Pictionary.” Erin draws a picture with fellow 17-year-olds Kaylan Butler and Dajanay Wallace. The girls were given only clues about which professional to draw, they think it’s probably a dentist though they’re not sure. “Want to see our drawing?” Kaylan asks. Dajanay is decidedly less embarrassed. She points out the details of the drawing. While oral healthcare might not be their calling, all three girls do want to join the medical field. Erin is looking at anesthesiology, Kaylan at pediatrics and Dajanay wants to be a registered nurse. Terry Richey is Chief Nursing Officer for the SEMO Health Network. Part of her job is recruiting health professionals to join the Network. From AHEC’s perspective that’s the first step toward success. The next challenge is getting them to return after they’ve been trained. And right now the girls are on the fence. “If I decide to come back,” she adds. Erin is planning to go to college away from the Bootheel, and she think’s she’ll miss home. 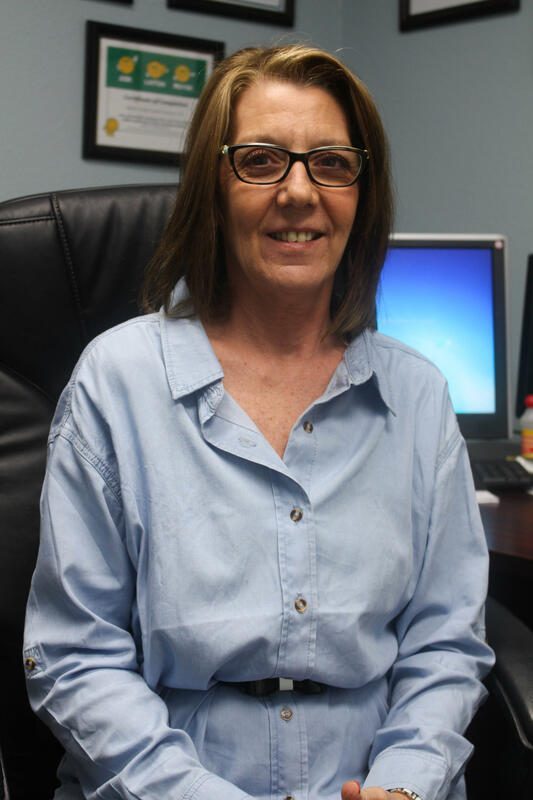 Judith Haggard felt the draw of home 15 years ago when she finished her own training and started practicing down here in the Bootheel. The hope now is that, when the time comes, these students will feel the same way.